The information below is out of date! On May 18, 2018, Neopets switched to an entirely new support ticketing system. Until a standard procedure gets fleshed out, the information about filing a ticket below will be out of date. We'll be updating it as we learn more about their support system. 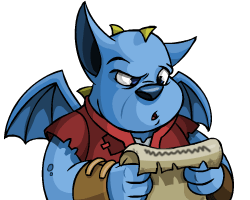 For the companion guide about Neopets Account Safety, click here! A frozen account is an account that has been deactivated. Accounts are often deactivated by The Neopets Team themselves, but a user can opt to freeze their own account. When an account is frozen, all pets and items on the account are frozen with it. No one can access the account while it is frozen. Without any intervention, a frozen account will remain disabled. In certain cases, accounts can get the freezing overturned by filing a ticket with Neopets Support. This is true regardless of how the account was frozen. Frozen accounts will not appear when searching for the username, but rest assured, the account still exists. Pets on frozen accounts can be searched, but pet lookups cannot be viewed. Frozen accounts have their shop and userlookup coding wiped by default, so don't be alarmed when your unfrozen account has no description. After an account has been frozen for 18 months, it is eligible for being purged from the server. The account, pets, and all data associated with it is deleted from the site. Thus, a purged account can never be recovered. Unlike a frozen account, a purged account shows this message on the userlookup: "Sorry, nobody by this name exists in Neopia." The account's name (and the names of any pets associated with the account) may then be available for recreation. However, account purges are very rare, as they place excessive strain on the site's servers. There has not been a purge since 2012. 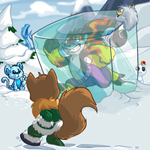 Follow this link if you are absolutely sure you want to freeze your Neopets account. Only Support will be able to undo this for you, so do not make this decision lightly. Self-freezing an account does not "free up" the username so you can use it again. You will have to wait until the account is purged - a process that takes years. WARNING: Only use the above link if you are 100% sure you want to destroy your Neopets account permanently! Reversing this decision will be time consuming, and in the worse case scenario, you lack the information to restore your account! If there's a chance you might return to Neopets in the future, consider leaving your account intact and taking a hiatus instead (your pets will thank you). If you have been mysteriously frozen, the first thing to do is to check to see if your account was frozen for being compromised. When TNT detects suspicious activity on a user's account, they will freeze it to prevent more damage from being done to the account. Attempt a pet transfer from a side account. Offer to transfer one of your pets for a pet on your main, and it will display all of the Neopets on the account. 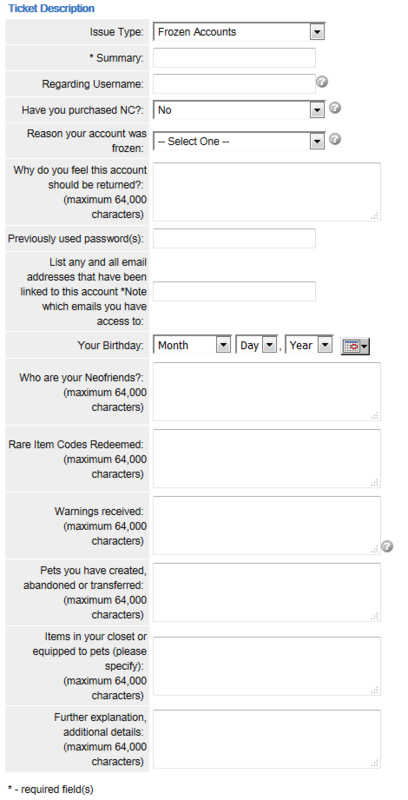 Make sure you have enough Neopoints to cover the adoption fee for each of your pets, to ensure that they all appear. This only works if you did not block User-to-User Neopet transfers. Visit each of your pets' petpages and hover over the black banner at the top. It looks like this. This is a referral link to Neopets with the pet's owner in the URL. Your NC Transaction Log is a record of your NC purchase and redemption history. It is accessible even if your account is frozen, but only if your password has not been changed. Even if you do not purchase Neocash, you can attempt to login to test if your password has been changed. Information in the NC Transaction Log can be key to getting your account back. Premium subscriptions will continue to renew while your account is frozen. You must cancel Premium by logging into the Manage Membership hub to stop further payments. You cannot login if your password was changed, so if that is the case, you will need to file a ticket to get your Premium cancelled. You can also use this method to see if your password was changed, which can help you determine if your account was compromised. Rest assured that your 5th Neopet is safe! None of your pets will be placed in the pound while you are frozen. In the worst case scenario, Neopets may freeze multiple accounts and even prevent you from making new accounts. This often occurs in cases where a user has a prior history of severe infractions. If you find that pets or items are missing from your account, your account has likely been frozen for your own protection. However, even if your items and pets appear safe and sound, that does not prove your account was not accessed by someone else. TNT is also known to reverse illegal pet trades by removing pets from accounts and sending them back to the original owners. To recover your account, you must file a ticket. Your case will be sent to a Neopets Support member who specializes in dealing with Frozen Accounts for further review. This requires that you are logged in, so file a ticket through a side account or create a new account if you must. It is recommended that you do not have another user file on your behalf, so there's no question who owns the frozen account. Step 1: Click "contact us" on the bottom of any Neopets page. This will redirect you to the Neopets Help Centre. Step 2: "Click on "Submit a Ticket." Step 3: Under issue type, select "Frozen Accounts" and the form will appear. Step 4: Fill out the form. The application will detect inactivity and give you a warning 10 minutes prior to your session expiring. Frozen account cases require several pieces of information to verify that you are the owner of the account. The goal is to provide information that no one else but you would know. Here is a list of things you may know about your account! If you've purchased NC in the past, or even won free NC, include information on things you have bought as well as when, if you have that information. Be as specific as possible. Use the "Further Explaination" field to explain your case. If you are unsure why your account was frozen, this is the place to ask. Let them know of anything you might have been doing that could have been seen as questionable from Neopets' point of view. You will have the option to attach up to 10 files. A warning if you plan on including screenshots: screenshot evidence alone may not be as strong as those above pieces of information since screenshots can easily be faked. Be sure to check "Use User Email Notification Preferences" so you can receive emails from Support. This is far more convenient than constantly logging in and checking the status of the ticket. DO NOT send in multiple tickets for the same account issue! This results in both of your tickets being "Closed as Duplicate." This means no Support member will look at that ticket! Your account's original email address is the most critical piece of information to get your account back. What if I don't know my original email? It is understandable for old accounts to not have this piece of information. Unfortunately, it can become an uphill battle trying to recover your account without this critical info. Provide as much information as possible and be polite to the Support. Check your inboxes on old or current email accounts and search for Neopets messages, including in your spam and trash folders. The Neolodge will send an email whenever your pet checks out. You may also have record of account activation, old password reset emails, premium transactions, Neogreetings (particularly the one required for the Valentines Chia avatar), newsletters, or lottery wins that will help you narrow down your account's email. 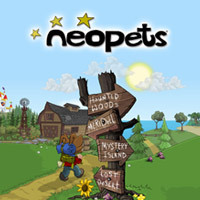 For accounts made while the user was under 13, Neopets never stored the original email address in order to comply with California online privacy laws. For this reason, it is impossible for them to verify your original email address. If you are 100% sure you can not provide your original email, sometimes they will accept the date of when you purchased or redeemed Neocash. Check your NC transaction log for this information. If you cannot access it, meaning your password was changed, try viewing your PayPal, debit/credit card statements, or bank statements and look for transactions from Neopets. If you paid with PayPal, the corresponding PayPal transaction may be listed on your bank statement along the lines of "PAYPAL INSTANT TRANSFER" and may not list Neopets specifically. PayPal does, however, provide a unique ID for each transaction. 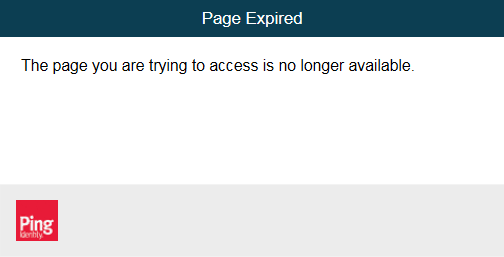 Occasionally, instead of the Help Centre, you will see a blank page or an error message along the lines of "The page you are trying to access is no longer available." Enable third party cookies: The support center requires that your browser be allowed to store third party cookies. Whitelist s2.parature: If you are running browser add-ons such as RequestPolicy, NoScript, or AdBlock, they may be blocking the support center. In that case you must specifically allow s2.parature. Clear your cache: Try clearing your browser's cache and browsing history. Try a different browser: Preferably Firefox, Safari, Opera, or Chrome, as Neopets no longer supports Internet Explorer. Use a different account: Another side account may have access. Try again later: Given time, the support page may decide to load. What if I still can't access Neopets Support? If everything above fails, you can email them directly at support@neopets.com. Make sure to include all of the necessary information so they can create a ticket for you. DO NOT send in an email if you have already filed a ticket. They may choose to make a ticket for you from your email. This clogs their system and risks your ticket being closed as duplicate! Then you must start all over again! Now that you've filed your ticket, it's time for the most grueling part of the process: waiting. Neopets Support receives hundreds of tickets each day, many of which must be resolved on a case-by-case basis. The process can be slow, but it's important to not get discouraged. There are many users undergoing this same process and you can find them on regular topics on the Help section on the Neoboards. While your account is frozen, you can continue playing Neopets from your side account. You are also free to create another account and treat it as your main account. Open Ticket has not been addressed yet. Work In Progress Ticket has been assigned to a technician and is being processed. Need More Info TNT requires additional information in order to solve your issue. Reopened The ticket requires a revision for the solution posted. Solution Suggested A solution has been suggested for your issue. Closed This ticket has been closed. Often Support will inquire for more information, so it's important to check up on your ticket regularly. When you feel you need to add to your ticket, you can provide additional information. This does not send your case to the back of the line, so feel free to update your ticket with any information you feel is necessary. What can I do on a side account while my main is frozen? You can treat your side account as if it was your main account. This means that you can do dailies, participate in events, and partake it all NP-making activities such as playing games and restocking. Once you are unfrozen, however, you are expected to only have one main account. You are free to resume playing on your main account, or you can continue to play on your side account provided your unfrozen account becomes strictly your side account. In other words, switching mains. How long does it take to receive a response to my ticket? Frozen account tickets are notorious for taking a long time due to the high volume of tickets and the level of investigation required to resolve them. Thus, response time varies anywhere between a few days to several months. It is reasonable to expect at least a few months for your ticket to be addressed. In rare cases, tickets can remain unanswered for more than a year. Tickets are not necessarily addressed in the order they are filed. Being a Premium Member or NC Mall customer does not lead to faster ticket response times. If you haven't been receiving any traction on your ticket, a common piece of advice is to send them your ticket number by posting on the Official Neopets Facebook Page. Please consider this as a last resort. The Neopets representative on Facebook is the Community Manager, NOT a Neopets Support member, athough they ocassionally pass on ticket information to the Support team at their discretion. The primary function of their page is to promote Neopets on social media, not to resolve account-related issues. This method comes down to luck. They do not respond to posts on weekends nor older messages. If they do respond to your post, your case will still need to be investigated and it could still take time. This has never been a reliable solution. Please DO NOT spam their Facebook page with ticket-related requests! Not only do you risk getting blocked, being rude will not help your case at all! Finally you've received a response to your ticket, but you are not unfrozen. Support may be asking for more information. At this point, DO NOT file any new tickets about the same issue, because a Support member is already assigned to your case. There's no time limit to respond to your ticket, but the sooner, the better. If your ticket was marked as "Closed" or "Solution Suggested", they will not see anything new you add to it. You must reopen them to have your ticket reviewed again. Unfortunately no system is perfect in detecting rule breakers and suspicious activity. Once you have received the reason for your freezing, and you are certain you are innocent, don't give up hope! Fortunately, it is possible to ask TNT to give a second look into the matter and get the freezing overturned. If TNT believed every freeze was deserved, they wouldn't have a support team for this now, would they? Sadly not everyone will be unfrozen, but the information you provide to refute your claims can make a huge difference. More information can provide more context that what you were doing was perfectly legal and TNT may see why the behavior might have been flagged. Explain thoroughly everything you were doing up to being frozen. If you can't remember, check your internet history to see if the pages you had visited are still logged. TNT logs a lot of variables, so the more specific information you provide, the more it can help your case. Review patterns of your behavior that might have been unusual and attempt to explain them. TNT cannot disclose specifics regarding what was detected on their end but sometimes the frequency of whatever you were doing catches their attention. Use our editorial database to find editorial entries that may apply to your issue. Cite relevant ones when explaining why you should be unfrozen. Similarly, learning more about what you've done could reveal that you have unknowingly broken a rule. If you have unusual browser Add-ons installed that may have accidentally impacted playing on Neopets, such as ones that involve refreshing pages, anonymizers, etc – it is worth mentioning them if it applies to your issue (Ad blocking add-ons have always been fine). Your account's record can matter. If you've maintained a clean record after so many years – that's important! If you remember visiting any fishy Neopets sites or suspicious shops, forgot to logout on a public computer, or noticed strange things occurring on your account, that may be relevant. Be honest with the support staff. They may feel less inclined to believe you or forgive you if their evidence says otherwise. There's no magic method to get an account unfrozen. Since frozen account issues are handled case-by-case, the above tips are not guaranteed to succeed. Still, many do get their accounts returned, so don't get discouraged just yet! It goes without saying there are often a mix of emotions surrounding frozen account-related issues. Sometimes Support will not initially rule in your favor. It is important to respond in a professional matter and be polite. If you have any disagreements, remember your grievances are with policies, not people. Support, like any other Neopets staff member, are doing their jobs. They want to help you. Being disrepectful to Support will not help you get your account back any faster.